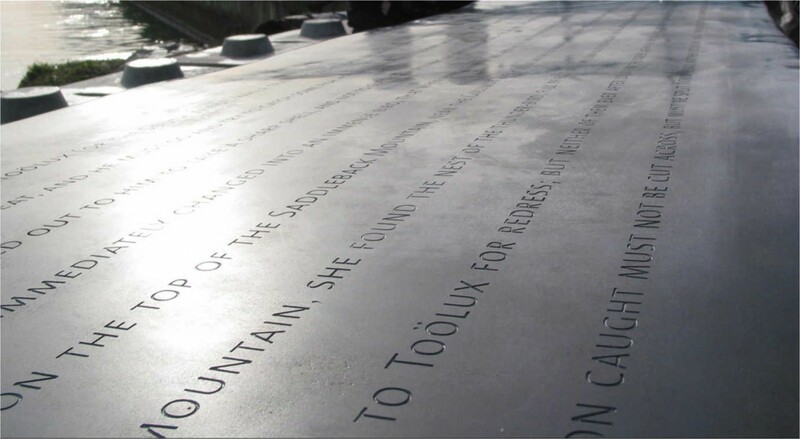 In partnership with Confluence, Vietnam War Memorial designer Maya Lin created public art installations at six points ranging 438 miles along the Columbia River. Photo courtesy of Confluence. The Confluence Project commemorates the Lewis and Clark Expedition’s arrival in the Columbia River Basin and explores its cultural and environmental legacy. The organization partnered with the region’s many Native American tribes—the descendants of the indigenous peoples Lewis and Clark encountered—as well as Vietnam War Memorial designer Maya Lin to create public art installations at six points ranging 438 miles along the Columbia River. In addition to exploring the Basin’s history and culture through art, Confluence aimed to inspire an ongoing conversation between the region’s Native American tribes and other civic, educational, and environmental groups that would serve to educate visitors to the sites. A grant from the NEH helped Confluence establish a program that explores the region’s landscapes through the perspective of the Native American communities that have inhabited it for thousands of years. Confluence is collecting oral histories from Native Americans who live in the Columbia River Basin. Here, Antone Minthorn tells the story of his last summer fishing at The Dalles, before the dam was built in 1957. Video courtesy of Confluence. Through the grant, Confluence developed a digital project to help people explore the Columbia River Basin through stories about its land, people, and river. Today, Confluence staff are collecting oral histories from Native American elders and leaders and they are working with Washington State University to put these histories online. They have also developed a series of public conversations, called Story Gatherings, out of these records. At each Story Gathering, excerpts from the filmed oral history interviews are used to stimulate a conversation, first among a panel of experts and then among the audience. In 2017, Confluence held Story Gatherings in Astoria, Portland, The Dalles, and Pendleton, Oregon, and Vancouver, Clarkston and Richland, Washington. Many participants attended multiple Story Gatherings, demonstrating a real desire for the community conversations they stimulated. The conversations are taking digital forms, as well: Confluence is turning recordings of the events into podcasts. 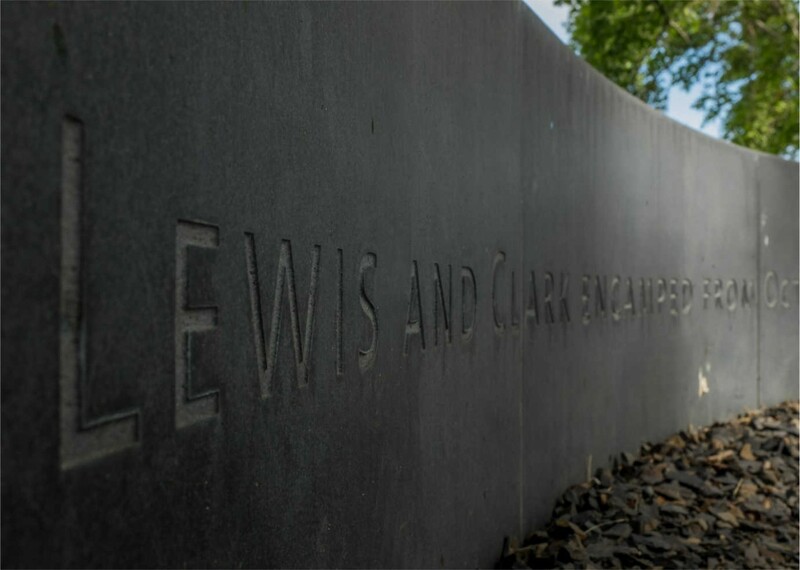 Confluence recognized the 200th anniversary of the Lewis and Clark expedition by installing works of public art at sites on the Columbia River. Photo courtesy of Confluence. 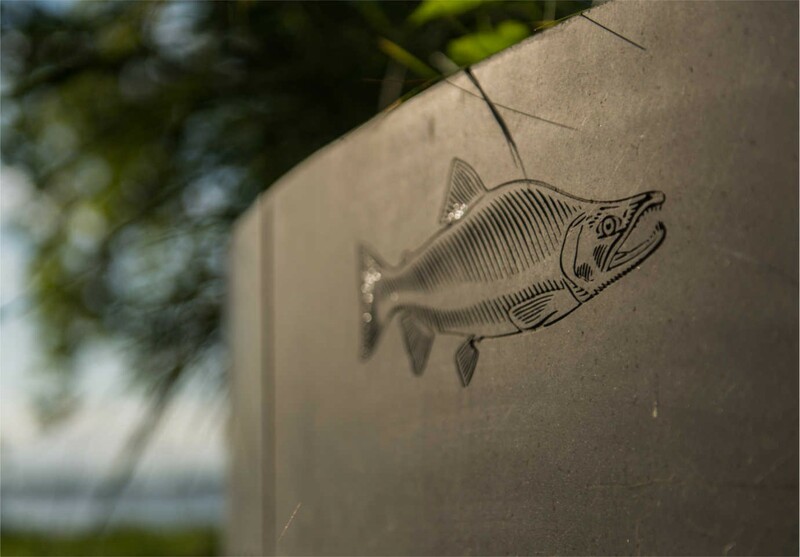 At the Confluence Story Circles at Sacajawea State Park in Pasco, Washington, one of Maya Lin's installations, a Columbia River salmon is etched into the basalt. Photo by Corky Miller.